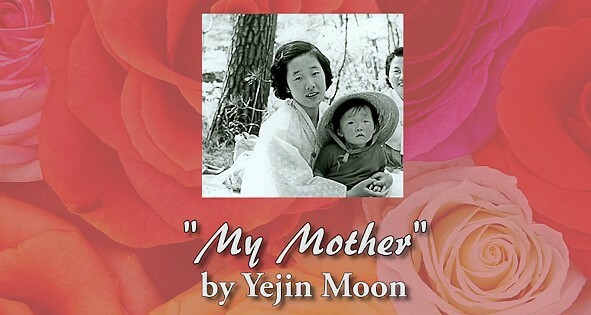 In honor of Mother's Day the Unification News Team and the Video Team at Headquarters has illustrated a poem, "My Mother" by Ye Jin Moon published in 1977 in the book Signs of Presence Love, and More by the Unification Theological Seminary. The music is arranged by David Eaton. The video is created by Peter Lewis. Always she is busy but she comes to my room every night. She seems to want to care for every person. She is more beautiful than any flower. I wish to live in her heart forever and eternally. "My Mother" will be the words I love the most. ‘My Mother’ copyright © by Ye Jin Moon from the book Signs of Presence Love, and More published by the Unification Theological Seminary 1977.